La policía persiguió este lunes a una camioneta robada desde Northridge al área de Reseda, donde dos sospechosos salieron y corrieron por un vecindario antes de ser arrestados. A man was struck and killed in Brandywine while crossing a highway on foot, police said. The man walked onto Route 301 south of Berry Street about 9 p.m. Saturday and walked directly into the path of a car heading south. The car struck the pedestrian, police said. Multiple drivers called police, who responded immediately. The man was pronounced dead on the scene, police said. 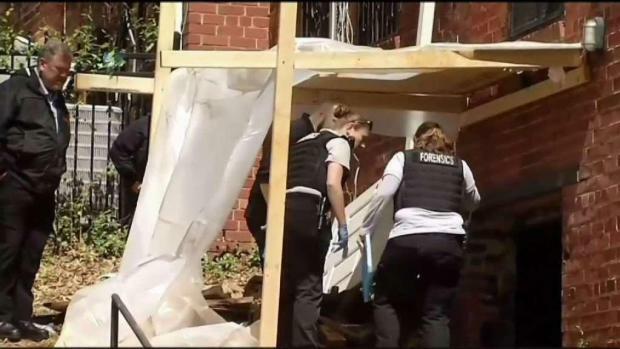 Two more sets of human remains have been uncovered behind a Southeast D.C. apartment building where construction workers recently found a human skull, a medical examiner's office official said. News4's Darcy Spencer reports. The driver of the car, 28-year-old James Williams II, of Clinton, stayed on the scene. Williams and a boy who was inside the car were not injured, police said. Police say it's unclear why the pedestrian walked into the road, but alcohol was likely a factor. They did not specify who may have been under the influence. Police have not yet released the man's name, pending the notification of his family. Maryland State Police plan to conduct a detailed crash reconstruction, and the State's Attorney's Office will decide whether to press charges. The road was partly closed until about 5:45 a.m. on Sunday.